Winning the lottery becomes a dream that, for some, must be achieved at all costs. Some players will enter anything and everything if they think it will win them a big paycheck at the end of it. Unfortunately, for every great game out there that is safe, secure and easy to play, there are some scam games out there or people who are out to con money out of people who really feel they might be in with a chance of winning. 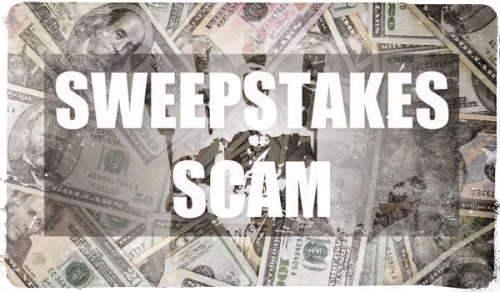 More people are falling victim to sweepstake scams. Here’s the inside story on how sweepstake scams are costing US players a lot more dearly than was first thought. Would you know how to spot a scam? Here’s some identifying information. You might receive a notification that you have won a lot of money in a competition, lottery or sweepstake that you really have no recollection of entering. You might receive this contact via the telephone, the mail, social media or email. Sometimes the prizes aren’t monetary – it might well be a new phone, through to a holiday or some other type of ‘can’t live without’ gadget. However, there are a lot of big money prizes being offered up in the same way. In order to claim the prize, the scammers say is yours, they request a fee from you. They say this will be to cover insurance, taxes or bank fees. Then what happens is that scammers will say the prize has been delayed, or that you need to send more money in order to receive it. Any communication you receive will demand that you respond quickly in order to speed up the process of collecting your prize. Otherwise, you’ll miss out. You will also be instructed to keep details of the win private and not to tell anyone. Scammers do this to prevent you from seeking further information or advice from independent sources. It may appear to be totally legitimate. Scammers might often use the names of foreign lotteries to give an air of credence. This is so that if you do go off and research it, it will, to all intents and purposes look real. You might also then be asked to give personal details, so you can prove you’re the rightful winner. They’ll also ask you for your bank details, so the ‘prize’ can be sent over to you. Scammers will then steal your bank details to get into your bank account and take money from you. Some clever scammers might send an initial check of a few thousand dollars, a part payment of winnings so that you think it’s all above board. However, this cheque will eventually bounce, and you will not receive any real payments. Eventually, the scammer will take your payment and then not deliver your prize, or send you something that falls short of the promised prize. 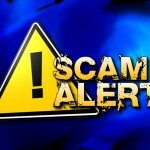 Now, newer versions of the same scams involve criminals gaining access to someone’s social media account and contacting extended family members (aunts, cousins etc) and telling them that they have all won big prizes. The criminals then provide an email address through which they will receive instructions on how to claim their prize. This is a cruel version of a scam as it uses the trust between family members to succeed in scamming people out of their money. In a report from CBS News correspondent Anna Werner, she says that The Better Business Bureau claim these crooks are professionals who might take advantage of someone in your family, and they can be very convincing. In 2015, Allen Walker had just moved to St. Louis. He got a call to his mobile phone, telling him he’d won $94,000. It would be delivered soon and all he had to do was send in a fee to cover the taxes. “They said congratulations, Mr. Walker, you have just won the Jamaican sweepstakes. They kept on telling me, ‘Oh, well, he took the wrong route. He will be there soon, just wait. '” Walker commented. He actually sent in two checks totaling $5,500, which in total was all his savings. Still, he waited for the prize. Then he got repeated calls to send money to different people – he soon realized he’d been set up and he’d never get any money. “I really felt kind of empty inside and ridiculous that I got, you know, beat like that,” Walker added. In 2017, just under three thousand people reported sweepstakes and lottery scams to the BBB’s scam tracker in 2017 according to Steve Baker, who works for the authority “Most of the people that are cold-calling you are from either Jamaica or Costa Rica,” he said. In the same year, the FTC and the FBI together received just under one hundred and fifty thousand complaints about the scams and losses of $111,835,001. The BBB’s study said scammers get in touch with their victims to get their personal information in any way they can, whether that’s through cold-calling, text messages, internet pop-ups, the mail, and social media sites like Facebook. Baker said that older and vulnerable people needed to be educated and encouraged to speak up more about these kinds of scams if they’re suspicious they might have been targeted. “If you think you’ve won a lottery or sweepstakes and somebody wants money for taxes or for a third party or for any other reason, they’re crooks. Do not send money,” Baker said. He also added that the number of victims could be up to ten times higher than actually reported and that this was because people who had been scammed were sometimes too scared to come forward and admit they’d been taken in. One tack to take is to do an internet search for anything you think might be suspicious. You might be surprised to find other people have made complaints about the same thing too. So, you think you’ve been targeted by a scammer. Before you go any further, there are steps you can take to help yourself and to help others, before they get scammed and lose money too. Here’s what you can do. According to the FTC, Lottery and sweepstakes scams are one of the most common consumer frauds operating today. These types of scams were the third-most common type of fraud reported to the agency in 2017. 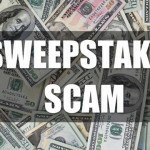 In early 2018, the FTC acted against an operation that was allegedly targeting older people with fake sweepstakes offers. The company sent mailers that made people think they had won $1 million (or more! ), and that the recipient only needed to pay a small fee to claim it. Never give out your financial information to someone who contacts you and claims to need it. Similarly, never wire money to, or share card numbers with anyone who asks you to. Both payment methods are a sure sign of a scam and you’ll likely lose a lot of money (and your dignity too). You might get a scam that tells you to pass the info on to a friend, so you can share your good luck. You probably throw away these kinds of bogus offers or hang up when you get these calls. But you probably know someone who could use a friendly reminder – so let anyone who isn’t in the know…know! This is a scam too. Without any delay, if you spot a scam or think something needs to be investigated, go to the FTC at ftc.gov/complaint and report it there. Your report and any information you can give can help FTC investigators identify the scammers and stop them before they steal someone’s hard-earned money and their livelihood from them.